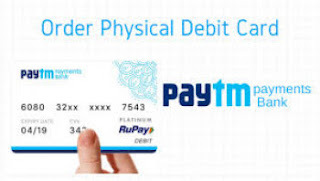 Paytm – Get Guaranteed upto Rs 200 Cashback on Sending Rs 50 via UPI, Paytm UPI Offer. Paytm is giving an awesome deal on Send money via UPI, Now Get upto Rs 200 Cashback on transaction via @Paytm UPI Handle. So Hurry up and avail this Offer now !! Update:- we are getting Rs 1 for each Rs 50 transaction or more !! 7) Now on Homepage goto “Bhim upi” >> Send Money >> and Enter any vpa of other bank and pay to them via @paytm upi handle. 8) You will get upto Rs 200 Cashback on Transaction of Rs 50 or more within 48 hours. No Source, But Text available in Paytm app homepage >> BHIM UPI >> Send Money ! !, validity is until this Text is visible. 1) Get upto Rs 200 cash back on transaction at Paytm if you pay using paytm UPI address. 6) This offer is applicable when you send money via @paytm handle.